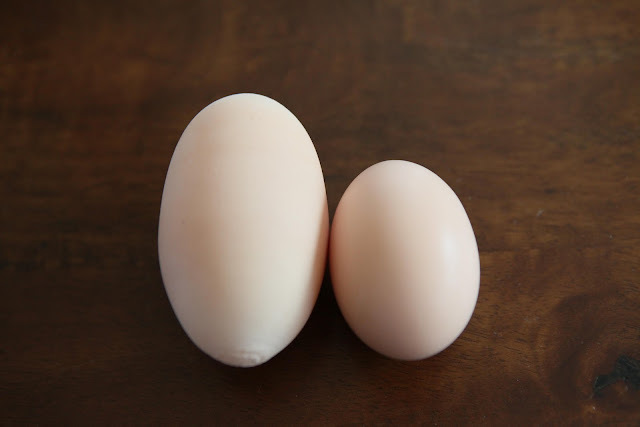 Ngo Family Farm: Whopper of an egg! We found a HUGE egg this morning! Oh, the poor sweet hen who laid that one--can you imagine?! Mercy. I do hope she's okay. 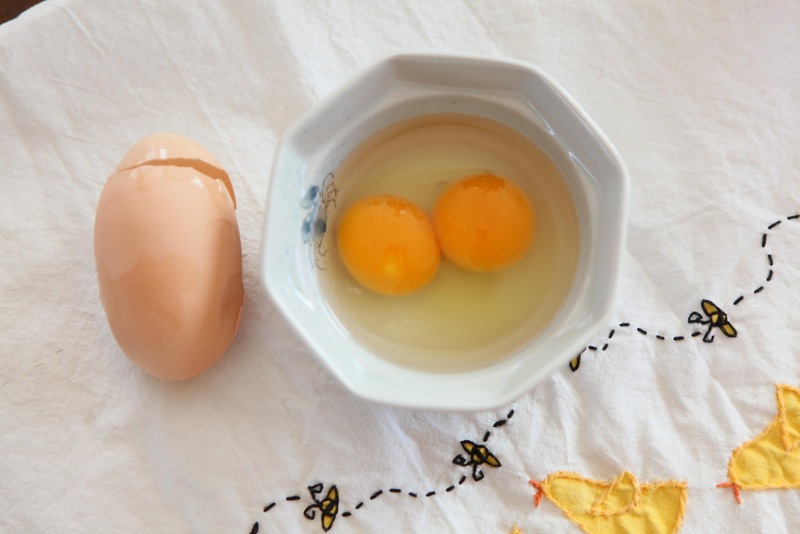 Two yolks, huh? I've never seen that before. If it had been fertilized would that resulted in twins do you think? That's a very interesting question. I suppose in theory it could produce twins! 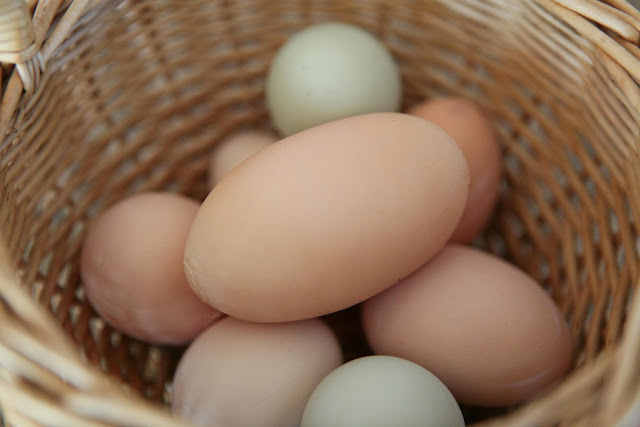 It's amazing that the egg contains everything it needs to make a new life, isn't it? 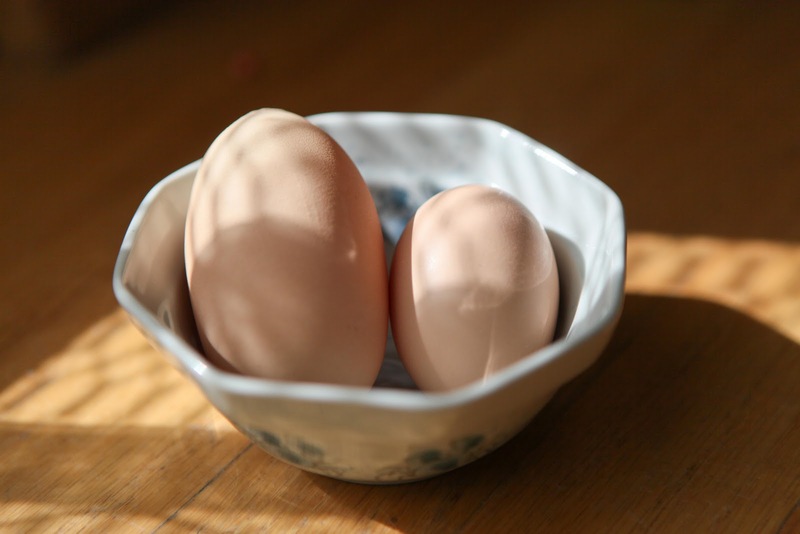 Yes, it's funny too, I pondered what to do with these two very special yolks all day. They ended up in a waffle batter for the next morning!